Ohodnoceno hosty po jejich pobytu (Suites in Marbella). 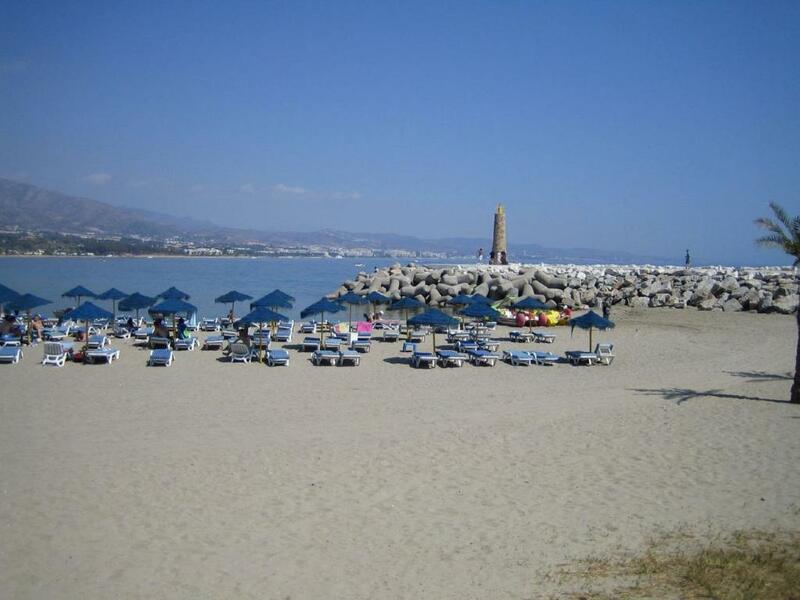 Excellent location close to everything in Puerto Banus. Great sized apartment with 2 good bedrooms and 2 full size bathrooms. Good Free Wifi as well. Mamen who was our host was very helpful. 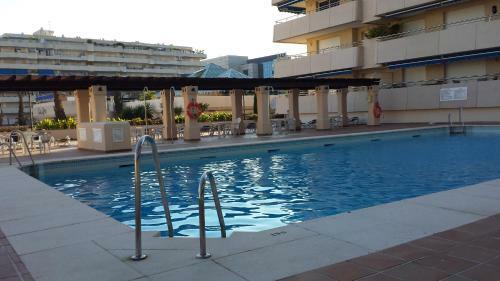 If you are looking for a nice apartment with access to a pool that is close to everything then this is a great choice. Everything about it!!!! High standard of property, location was UNBELIEVABLE!!! Kvinnan som möte oss var trevlig och glad med tyvärr väldigt dålig på engelska vilket resulterade i en viss förvirring. Rezervujte si pobyt v ubytování Suites in Marbella za skvělou cenu. Podle nedávno ubytovaných hostů získalo hodnocení 8,7. Jeden z našich bestsellerů v destinaci Marbella! Offering stylish suites, some with balconies overlooking its outdoor pool, Suites in Marbella is just 300 metres from Puerto Banús’ Bahía del Duque Beach. 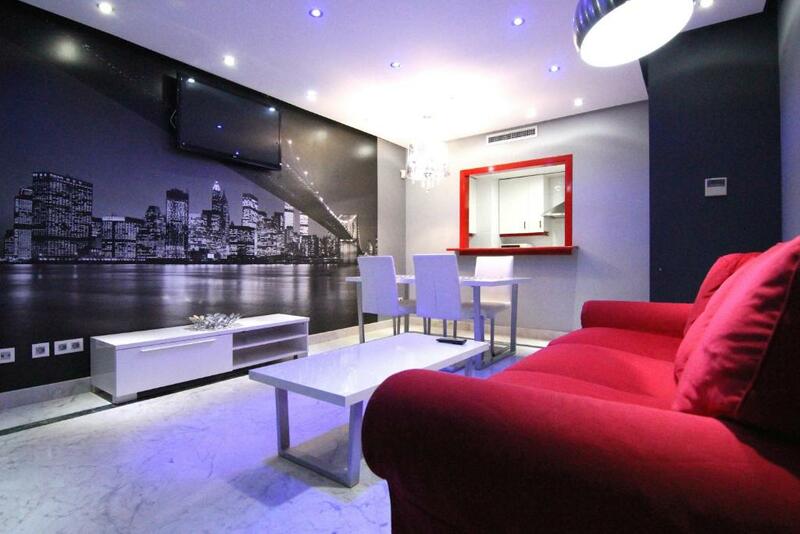 Each chic suite at Suites in Marbella has contemporary décor with different coloured lighting effects. There is a seating area with 1 or 2 flat-screen TVs. The kitchen comes with an electric hob, fridge, microwave and coffee maker. Some bathrooms include a hydromassage bath and chromatherapy features. 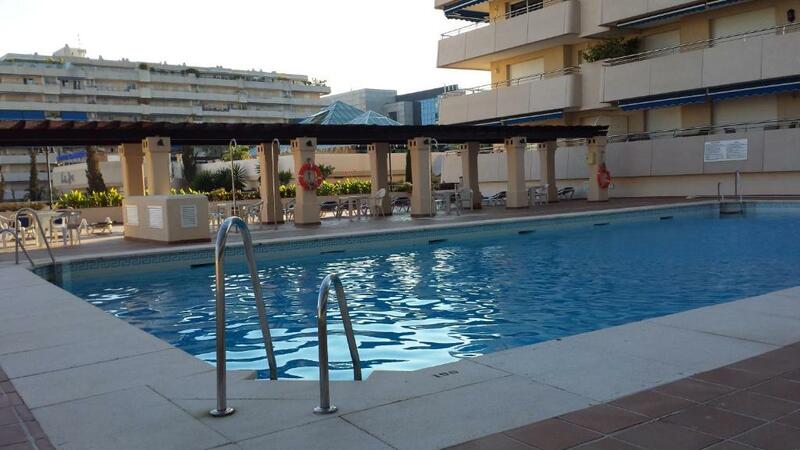 Puerto Banús famous marina and stylish boutiques are within 5 minutes’ walk of the suites. Marbella is just 10 km away. Guests receive water upon arrival. Suites in Marbella – kdy chcete přicestovat? 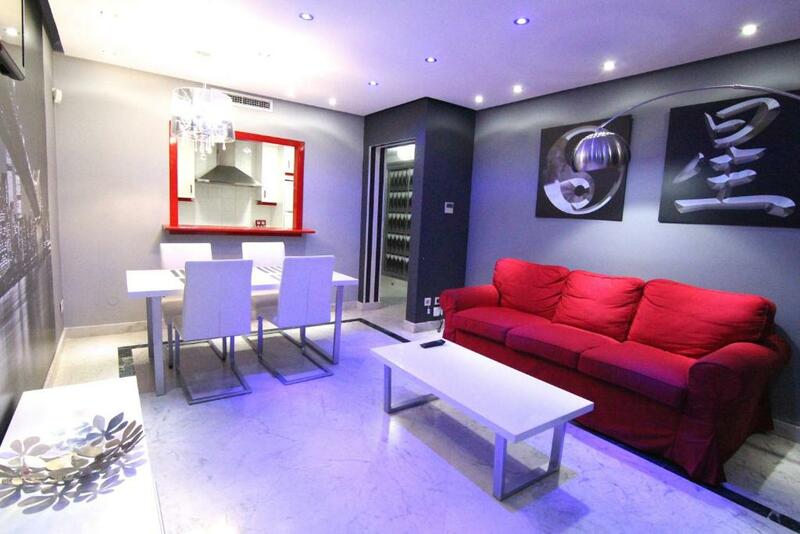 This modern apartment has a large terrace overlooking the pool and a large living room with sofas. There are 3 flat-screen TVs, 2 bathrooms with bathtubs and a kitchen equipped with a washing machine, refrigerator, microwave, coffee maker and kitchen utensils. This apartment is located in Marina Banús, 200 metres from the other rooms. Právě rezervováno v destinaci Marbella Byla v posledních 15 minutách vytvořena rezervace v 3 ubytováních , jako je Suites in Marbella. Podmínky ubytování Suites in Marbella může vyhovět Vašim požadavkům, napište je v příštím kroku. Suites in Marbella přijímá platbu těmito kartami a vyhrazuje si právo na dočasné zadržení příslušné částky před vaším příjezdem. Od hostů se vyžaduje noční klid od 21:00 do 11:00. Suites are air conditioned between 1 June and 30 September. Please note that if booking 2 rooms, there is no guarantee that they will be in the same building. Informujte prosím Suites in Marbella o svém předpokládaném čase příjezdu předem. Tuto informaci můžete napsat do políčka pro zvláštní požadavky při rezervaci nebo se obraťte přímo na ubytování. Kontaktní údaje jsou uvedeny v potvrzení rezervace.